David Smith is a very special athlete. At the age of 23 he has already won 3 Paralympic medals, including gold in the Boccia team event (Beijing 2008) and most recently – bronze (Boccia team) and silver individual at London 2012. Boccia is a sport specially designed for athletes with a severe degree of physical disability. It was developed by the Swedish disability sports federation in the 1970’s taking inspiration from games such as bocce, boules and petanque. Men and women compete together in teams, pairs and individual events. It is a game of precision with leather balls thrown as close as possible to a white target ball (the jack). Next up is Rio and the possibility of being promoted to Team Captain, with the European and World Championships in between. His focus is nothing less than gold at each event and his desire to succeed is inspirational. However, these fantastic achievements would not have been possible without the dedication and commitment of his Wales based Physio team. “My entire body has to be as fit as is practically possible to play Boccia, never mind compete at the highest level. 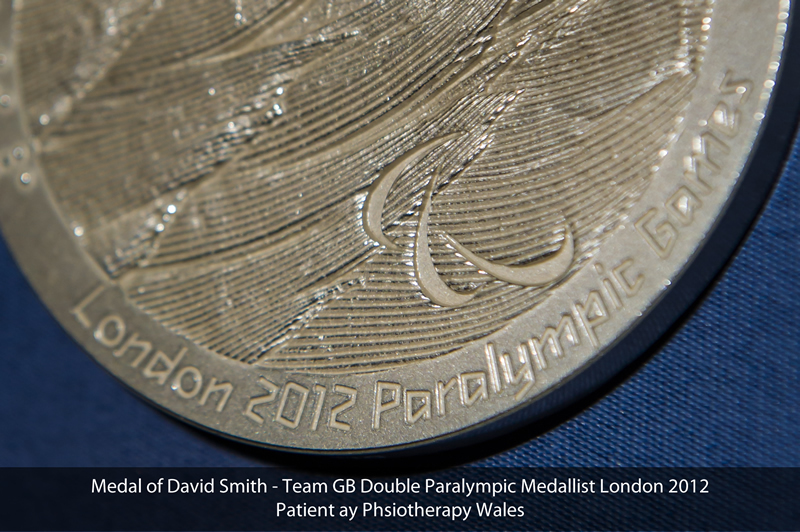 My Physio team at Physiotherapy Wales helped me peak to a level that gives me an extra 10% power, stamina and mobility to win these fantastic medals,” says David. In October this year Physiotherapy Wales will open up its latest clinic at Legends Health & Fitness Club in Pontypridd providing a variety of treatments and assessment including: muscular skeletal, sports injuries and rehabilitation. Dean Locking who is David’s Physio and managing director of Physiotherapy Wales, said: “We are so proud of David and his record breaking achievements. David suffers with severe Cerebral Palsy, but he has never allowed this to interfere with his life; his dedication to his continuing education, his sport as an Olympian and to his family shows the strength of this very special young man.